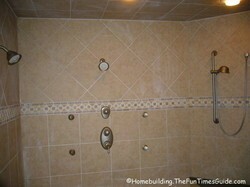 How do you feel about your current shower? 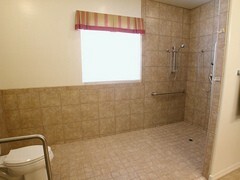 Do you wish you had a large open shower? Or perhaps you've realized you don't really need a bathtub anymore. It might be time for a shower makeover! Here you'll find everything from DIY shower repairs and bathroom water issues to clever ideas for designing the shower of your dreams. Pros & Cons Of A Shower-Only Bathroom: Do You Really Need A Bathtub For Resale Purposes? Trying to decide if you could live in a house without a tub? And if a shower-only bathroom will hurt your home’s resale value? A list of pros & cons. Plus thoughts from someone who’s been in your shoes and currently lives in a house that has a bathroom with shower only. Unique master bathroom ideas to transform your dream into reality. Reap the rewards of your beautiful remodeled space while increasing your home’s value. 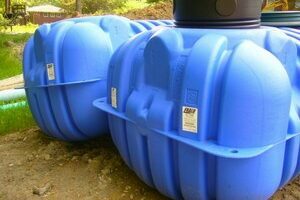 If you have a septic system, there are many important facts that you need to know in order to keep it operating as designed. I’ve got a lot of useful tips that you can use to help you maintain your septic system. Swapping out your old showerheads with new EPA WaterSense labeled showerheads would conserve at least 20% of your water usage. I’ve got the scoop on what you need to know before buying. Installing a steam shower generator is a job for the pros but as a homeowner you need to know some basics about the subject in order to purchase everything required and also to hire the best contractor for the project . Accessible design in the home building industry is here to stay. 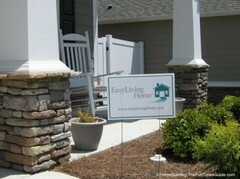 Easy access, easy use and easy passage are the main focus of homes certified under the EasyLiving Homes voluntary program. They’re not designed just for retirement communities either. Is Universal Home Design the Wave of the Future? You’d Better Believe It Is! What are the basic principles behind Universal Home Design? Here are easily explained answers for the 3 trouble spots found within every home: the entrance, the kitchen and the bathroom. If you’re building, remodeling or buying a home, you’ll want to make life more comfortable for yourself or the homeowners. See if your home measures up. I learned that living in a townhouse on the lower end of the row has a definite downside to it. Water will flow downhill should your neighbor’s have a water leak in their dwelling. Don’t let this happen to you. Buy or lease on the upper end whenever possible. Fiberglass tub repair can be done easily without hiring a professional if you follow these tips. If your bathtub repair includes fixing cracks, you should know that It isn’t necessarily the easiest of DIY home fix-it projects but you could prolong the usefulness of the tub by following these clear and concise instructions to seal the cracks. If you’re thinking of having a custom shower system installed, make sure you know how much hot water volume and storage is required to do the job. Lots more info than just water volume and storage here. Looking for some eco-friendly household cleaning products that work? I’ve located some ‘recipes’ for making some at home, too. I’ve also included some products that aren’t necessarily environmentally friendly…but they work.